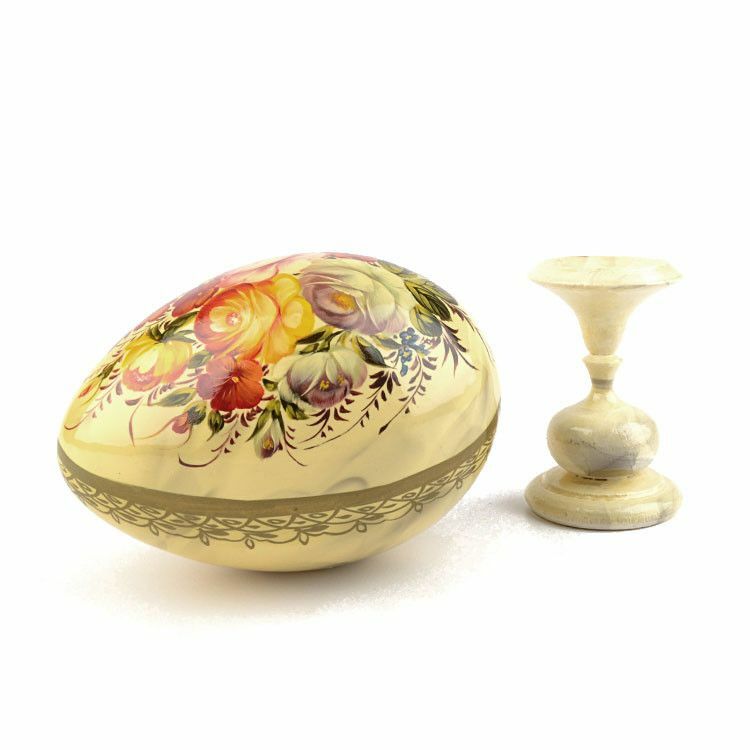 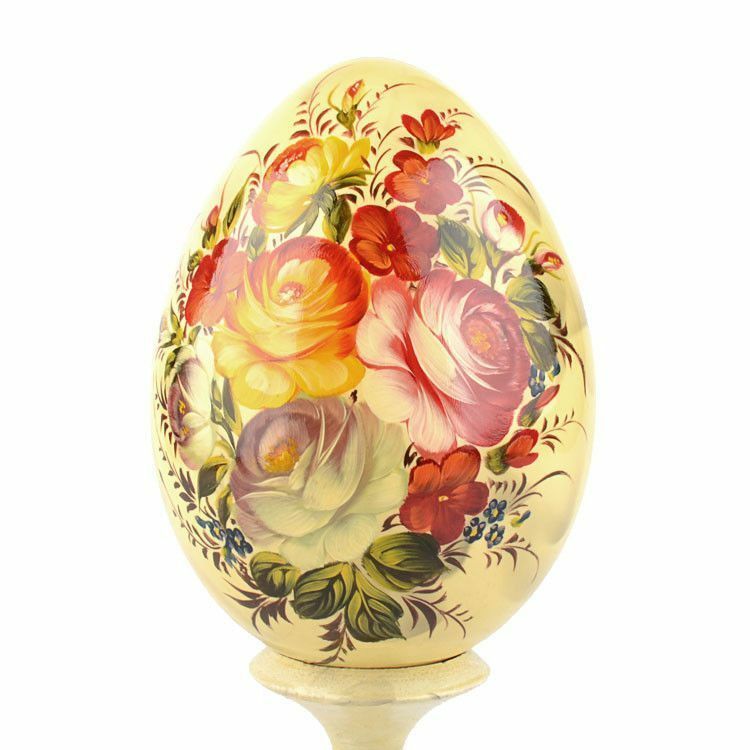 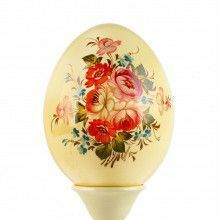 This gorgeous Russian egg has a marbleized antique white color, and was painted in Zhostovo style (like Russian Zhostovo metal trays) with a pretty assortment of blooming flowers. 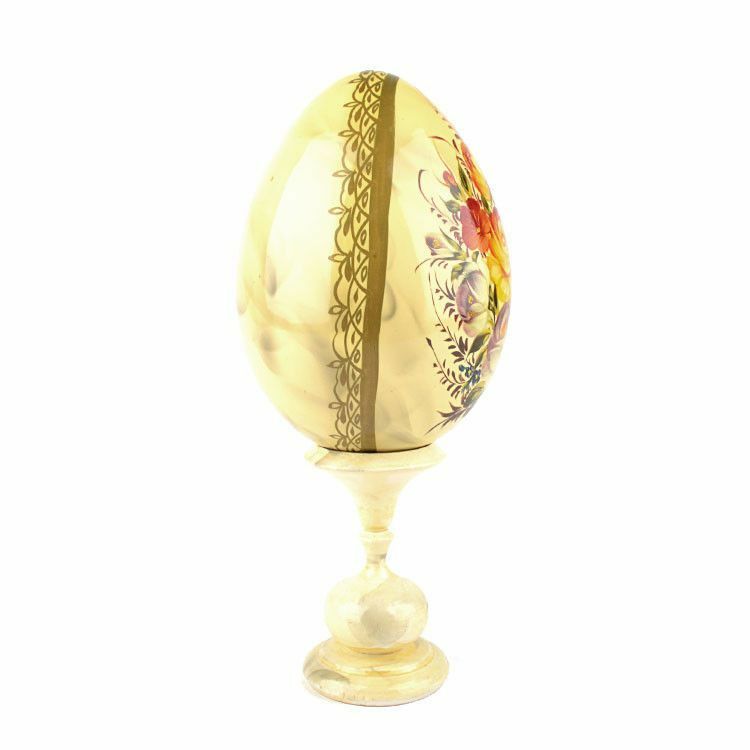 It stands about 8" tall (total height with stand), and displays Russian Folk Art craftsmanship at its best! 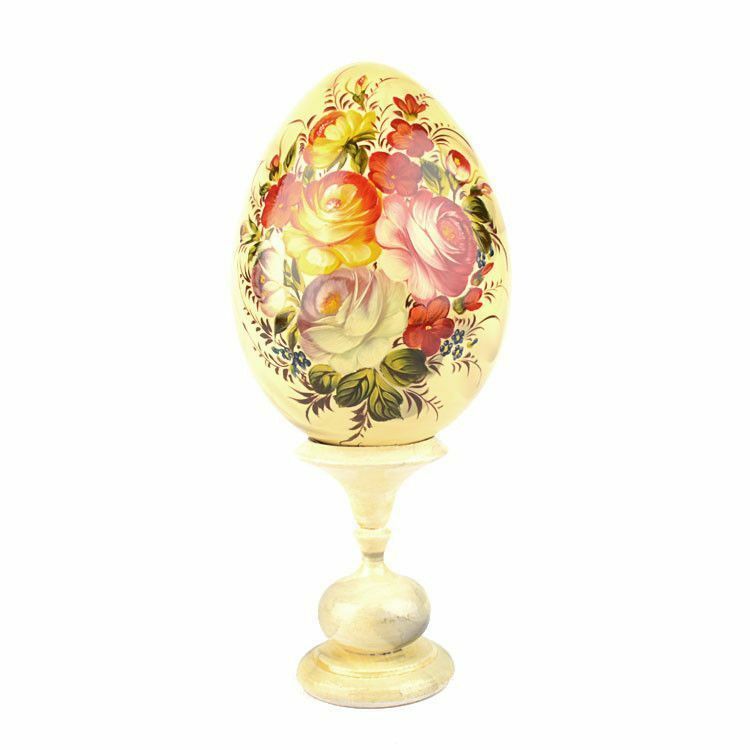 Many layers of rich lacquer bring this floral bouquet to life. 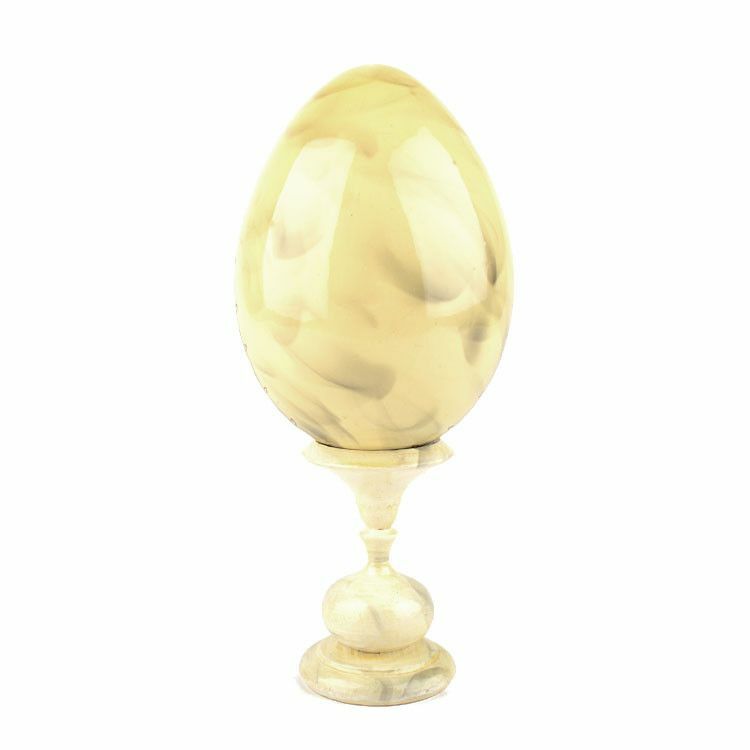 The egg is an ancient symbol of life and according to the lore of our forefathers, always brings good luck. 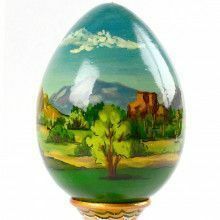 Great as a gift or home decoration, at Easter time, or anytime.